Competition in the Asian Tour Qualifying School Final Stage gets underway today at Springfield Royal Country Club in Petchburi, Thailand, marking the first Nicklaus Design golf course to host a professional event in 2016. A total of 245 players will compete in the event, where the first two rounds will be played at the Jack Nicklaus Signature Golf Course at Springfield Royal Country Club and Imperial Lakeview Golf Club, while only Springfield Royal will host the final two days. Players who finish in the top-40 and ties will secure playing rights on the Asian Tour in 2016. Springfield Royal opened for play in 1993 and is one of seven Nicklaus Design golf courses to open for play in Thailand since 1991. 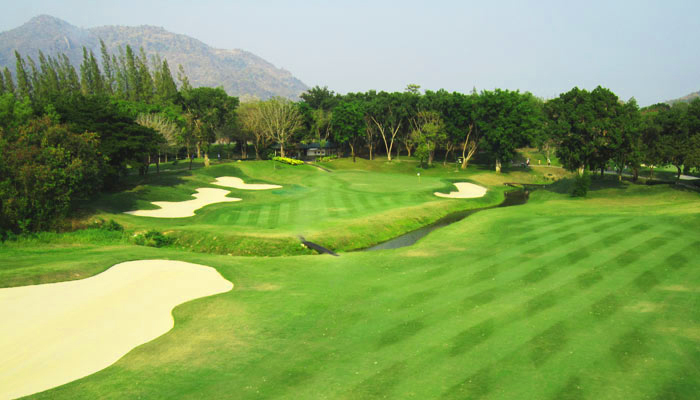 It has been ranked in Thailand’s top-10 by Golf Digest. This is at least the third time Springfield has hosted Q School for the Asian Tour. In 2015, there were no fewer than 30 tournaments played on Nicklaus Design courses in nine countries, including the first-ever playing of The Presidents Cup in Asia at Jack Nicklaus Golf Club Korea. Malaysia’s Gavin Green believes a top-40 result in the Final Stage of Q School will jump start his career. The big-hitting 22-year-old, who created headlines when he became the first amateur to win on the Asian Development Tour in 2014, is aiming for a successful debut at the Qualifying School. Apart from Green, retired professional tennis player and golf amateur Paradorn Srichaphan of Thailand will also attempt to make the grade at Qualifying School. Paradorn, nicknamed ‘Ball,’ was the first men’s singles tennis player from Asia to be ranked inside the top-10 of the ATP (Association of Tennis Professionals) rankings, where he reached a career high world No. 9. He hopes to enjoy the same success on the golf course this week. Apart from players in the region, Qualifying School also welcomes players from across the globe, with the likes of Guatemalan Jose Rolz and Juan Ignacio Lizarralde of Uruguay also eyeing coveted spots on the 2016 Asian Tour. “I have heard a lot of good stuff on the Asian Tour and I know there are a lot of good players out here,” said the 24-year-old Rolz, who was one of four players who topped the leaderboard at the First Stage held at Springfield Royal Country Club last week. “There are a lot of exposure and opportunities out here, as well, which was why I decided to come here and try it out after turning professional six months ago. All Qualifying School entrants will be eligible to compete on the burgeoning Asian Development Tour, which was inaugurated in 2010 as a gateway to the Asian Tour. The secondary circuit staged a record total of 28 tournaments in the 2014 season.